Magnum Custom Homes’ Parade entry is a must-see. 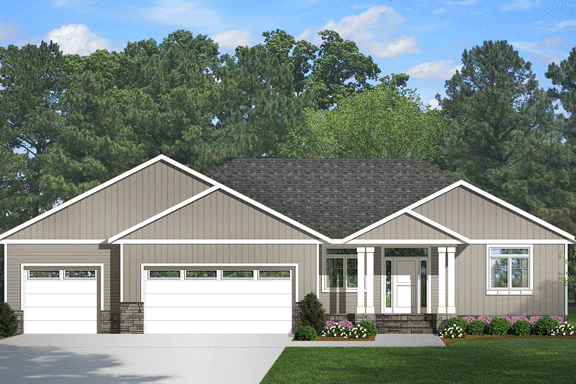 Our modern Craftsman rambler offers 3,760 sq. ft. of finished living space, along with an oversize heated 3-car garage and covered rear patio. Interior amenities include 5 bedrooms, 3 baths, a mudroom with desk, walk-in pantry, flex room, bar area and open space downstairs. You’ll love the alder cabinets and quartz countertops, fireplaces up/down, barn doors and more. It is located across the street from Legacy Elementary.